What Did CORAL Tell Us, and What Didn’t CORAL Tell Us? The consideration to intervene on patients with atherosclerotic renal artery stenosis (ARAS) has been controversial ever since Blum’s publication of 74 ostial ARAS cases . There have been a number of single center and multicenter registries designed to demonstrate the safety and efficacy of renal artery stent deployment for ARAS. In a recent meta-analysis of 5 multicenter renal artery stent registries involving over 900 patients, renal artery stent deployment did result in a meaningful reduction in systolic blood pressure . However, registries do not provide the highest level of evidence required to provide broad recommendations around indications for interventions. In fact, multisocietal guidelines documents provide relatively little guidance on the indications for renal artery stent deployment in patients with ARAS. There have been many attempts at developing non-invasive (renal resistive index at the time of renal artery duplex ultrasonography , brain natriuretic peptide assays ) and invasive (translesional pressure gradients, intravascular ultrasound , and fractional flow reserve ) predictors of outcomes before the renal revascularization has been performed. None of these have gained widespread utility. Within the past 6 years, three major randomized trials have been published, all suggesting that there is no advantage of stent vs optimal medical therapy in patients with ARAS. These include the STAR and ASTRAL studies, both of which specifically evaluated patients with chronic kidney disease (CKD) and ARAS. 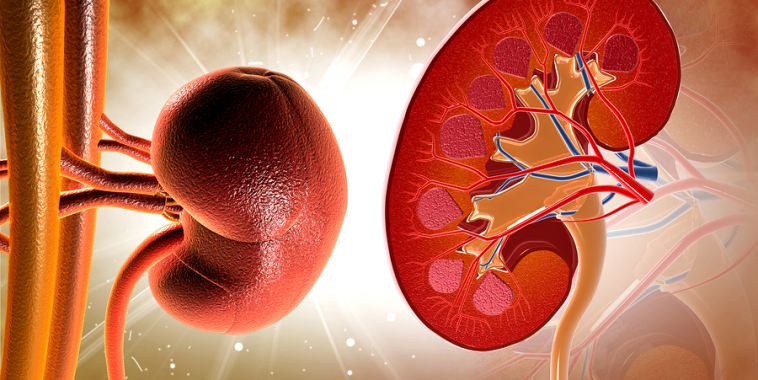 The CORAL trial was designed to study patients with hypertension or CKD and ARAS, with composite primary cardiovascular and renal endpoints . In this challenging study with excellent trial oversight, 947 patients with hypertension on at least 2 anti-hypertensive medications or chronic kidney disease were randomized to optimal medical therapy or optimal medical therapy plus stent deployment. With a primary endpoint evaluating cardiovascular and renal factors (mortality, myocardial infarction, stroke, need for dialysis), there was no advantage to stent-based therapy. Subset analysis did not identify a single group who benefitted from stent-based therapy, including those with global renal ischemia, recurrent “flash” pulmonary edema, or those with impaired renal function. So, is this the end of stenting for ARAS? Well, if we had another decade and many more millions of dollars for clinical trials, I think not. Clearly, there are patient subgroups who potentially benefit from this intervention, most notably those who truly fail a reasonable attempt at antihypertensive and lipid lowering therapy. Those patients were not studied in CORAL. However, in this era of affordable care, I suspect that there is little appetite for another prospective multicenter randomized trial of the subsets of patients who really may benefit from this intervention….for example, those with very severe ARAS (quantitative angiographic evidence of >80% aorto-ostial lesions) with physiologic evidence of hemodynamic significance (translesional pressure gradients, fractional flow reserve); African Americans with very severe hypertension (fewer than 10% of the entire CORAL cohort were representative of this patient population); and those patients recently committed to hemodialysis for ARAS. We may be facing severe limitations in reimbursement for patients with ARAS and hypertension, even if they were not sufficiently included in CORAL. Let this be a lesson to physicians….we must be committed to clinical trials studying patients in whom data is lacking. If we don’t, time and governmental oversight may answer the questions for us. Blum U, Krumme B, Flugel P, et al. Treatment of ostial renal-artery stenosis with vascular endoprostheses after unsuccessful balloon angioplasty. N Engl J Med 1997;336:459-65. Dorros G, Jaff MR, Mathiak LM. Multicenter Palmaz stent renal artery stenosis revascularization registry report: 4-year follow-up of 1058 successful patients. Catheter Cardiovasc Intervent 2002;55:182-188. Jaff MR, Bates M, Sullivan T, Popma JJ, Gao X, Zaugg M, Verta P. Significant reduction in systolic blood pressure following renal artery stenting in patients with uncontrolled hypertension: results from the HERCULES trial. Catheter Cardiovasc Intervent 2012;80:343-50. Weinberg I, Keyes MJ, Giri J, Rogers KR, Olin JW, White CJ, Jaff MR. Blood pressure response to renal artery stenting in 901 patients from 5 prospective multicenter FDA-approved trials. Catheter Cardiovas Intervent 2014;83:603-9. Rooke TW, Hirsch AT, Misra S, Sidawy AN, Beckman JA, Findeiss L, Golzarian J, Gornik HL, Halperin JL, Jaff MR, Moneta GL, Olin JW, Stanley JC, White CJ, White JV, Zierler GE. Management of patients with peripheral artery disease (compilation of 2005 and 2011 ACCF/AHA Guidelines Recommendations): a report of the American College of Cardiology Foundation/American Heart Association Task Force on Practice Guidelines. J Am Coll Cardiol 2013;61(14):1555-70. Rademacher J, Chaven A, Bleck J, et al. Use of Doppler ultrasonography to predict the outcome of therapy for renal stenosis. New Eng J Med 2001; 344(6), 410-417. Silva JA, Chan AW, White CJ, Collins TJ, Jenkins JS, Reilly JP, Ramee SR. Elevated brain natriuretic peptide predicts blood pressure response after stent revascularization in patients with renal artery stenosis. Circulation 2005; 111(3), 328-333. Leesar MA, Varma J, Shapira A, et al. Prediction of Hypertension Improvement After Stenting of Renal Artery Stenosis Comparative Accuracy of Translesional Pressure Gradients, Intravascular Ultrasound, and Angiography. J Am Coll Card 2009;53, 2363-2371. Subramanian R, White CJ, Rosenfield K, Bashir R, Almagor Y, Meerkin D, Shalman E. Renal Fractional Flow Reserve: A Hemodynamic Evaluation of Moderate Renal Artery Stenoses. Catheter Cardiovasc Interv 2005; 64, 480-484. Bax L, Woittiez AJ, Kouwenberg HJ, et al. Stent placement in patients with atherosclerotic renal artery stenosis and impaired renal function: a randomized trial. Ann Int Med 2009;150(12), 840-848. The ASTRAL Investigators. Revascularization vs medical therapy for renal-artery stenosis. N Engl J Med 2009;361:1953-62.
Cooper, C.J., T.P. Murphy, D.E. Cutlip, et al., Stenting and medical therapy for atherosclerotic renal-artery stenosis. N Engl J Med 2014; 370:13-22.